Kansas City is well known for its barbecue, its rich culture in arts, numerous fountains, and sports teams. 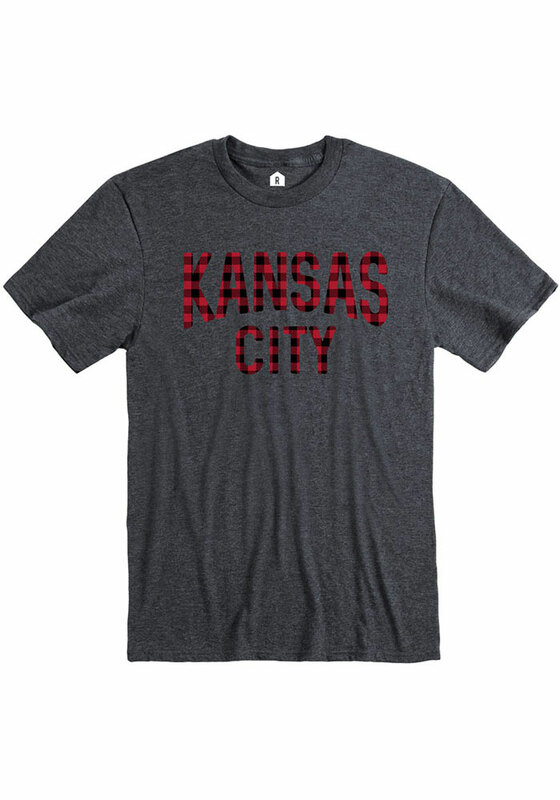 Proudly wear this tee with a screen printed 'Kansas City' wordmark across the chest in a buffalo plaid pattern. 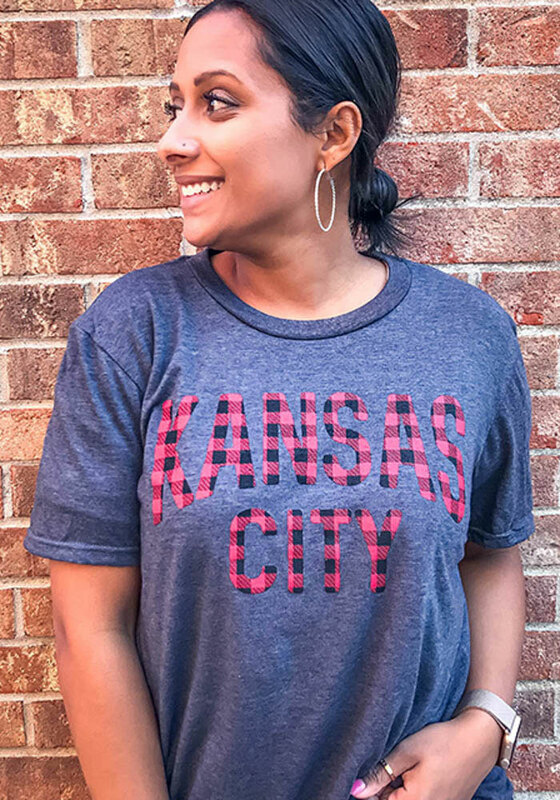 Look great and show your Kansas City love in this tee!